There are so many beautiful countries and cities across the globe and we would all love the host our weddings in one of them. However, destination weddings in faraway places are complicated as it involves extensive planning and difficulties in inviting guests. There is another way out though! 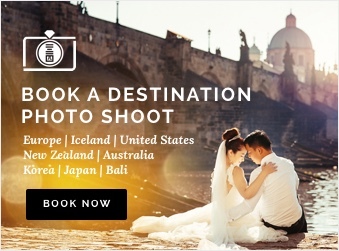 You can still have your pre-wedding photoshoots at the destination of your dreams and display the beautiful pictures at your wedding reception for your guests to admire. This may be a much better option as your trip will not be compromised by the hassle and jitters that come with a wedding! You can now simply enjoy the trip with your favourite person in the world and document your time together. Here are the 8 most popular destinations that our clients chose for their pre-wedding shoots and you are about to see why! One of the most picturesque countries in the world and definitely one of the top choices in everyone’s dream destination. New Zealand has such vibrant colours all year round and its breathtaking sceneries exude raw natural beauty. Everywhere is a good photo spot with New Zealand’s clear turquoise lakes and its perfectly green landscape. Of course, it is not possible to take pictures at every turn, so read our guide on the best locations for photos that will awe your wedding guests. Indonesia’s most famous island and one of the most exotic places. Bali is the perfect place for adventurous nature-lovers. Beautiful white beaches with stunning sunsets and spectacular views at the top of volcanoes, Bali is the place to be if you are looking for a touch of paradise! One of the most popular tourist destinations of all times, Japan is not just a place for shopping and eating sushi. Away from the city centre, Japan boasts of traditional elegance and natural beauty. It is home to some of the biggest parks that are flooded with people during the cherry blossom seasons when the lush foliage turns a sweet pink. Japan is also a place of immensely rich culture, with many shrines, tatami houses and locals walking around in their traditional kimonos. You have to go for a kimono fitting since if you are already there for a photoshoot! Read our guide on kimono rental for more information! The City of Love undoubtedly deserves a spot on this list! The Eiffel Tower is expectedly one of the most popular locations for a shoot. However, Paris has lots of hidden gems that make for excellent shooting locations amidst its spectacular architecture. Your guests will surely be drooling over your pre-wedding photos and asking you for tips! Taiwan is a bustling city renowned for friendly locals, delicious food and lively night markets. However, that is not the only thing that draws us to it. Hidden in the more rural areas of Taiwan are vast fields of green, towering mountains and beautiful lakes. 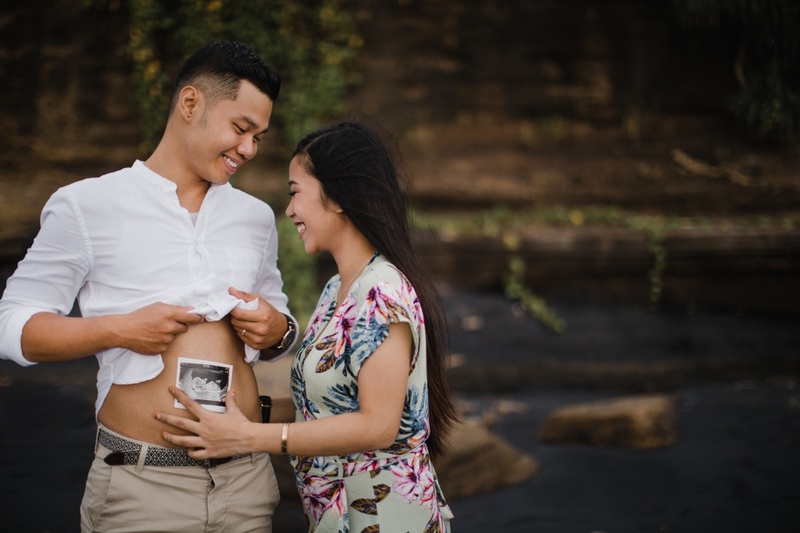 There are many natural beauties in this city that is unexplored by most people but our photographers have the best insider tips on the perfect location for your shoot! It is a great budget-friendly alternative to New Zealand! Deemed one of the most romantic cities in the world, Venice is loved by many. Its iconic bridges and canals fill every corner of this amazingly picturesque city, distinguishing it from any other city in Europe. Venice provides the perfect middle ground between ancient and modern, with its pre-modern infrastructures like the famous St. Mark’s Square and the little cafeterias along the scenic canals. Every corner of this “floating city” adds its own character to your photos and will leave your guests swooning! Another country that is rich in culture, you can still see remains of the olden days existing harmoniously amidst the modern city. Home to many beautiful parks, historic palaces, and tall skyscrapers, Korea is perfect for couples who cannot decide on a theme. Korea’s famous islands – Jeju island and Nami island are also popular locations across all its seasons. Prague is one of the most charming cities in Europe. It has some of the grandest landmarks, ranging from churches to castles. Every architectural building in this city is a work of art and you will be left marvelling at its beauty. Your photos will look straight out of a fairytale and your guests will be wondering if a place as enchanting as this truly exists. 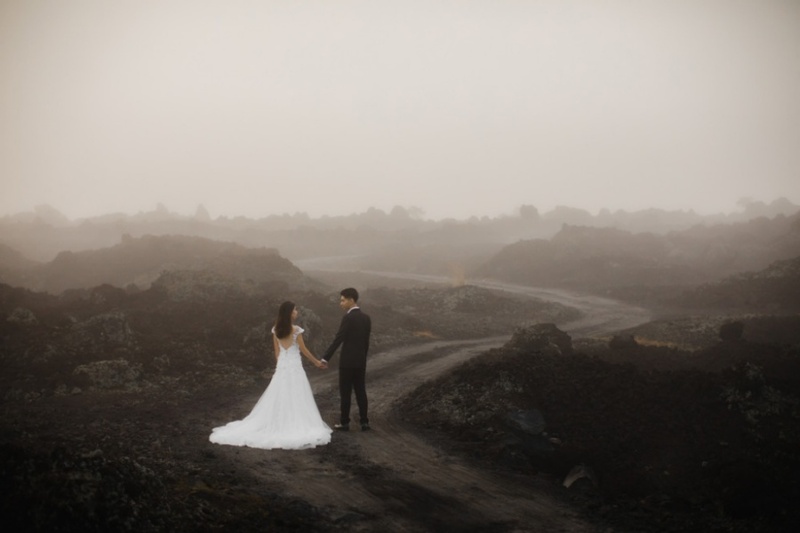 We hope that you’ve found your pre-wedding photoshoot destination in one of them! Click on the country to be directed to our respective destination page. For more information on pre-wedding shoot packages, head on to our website!